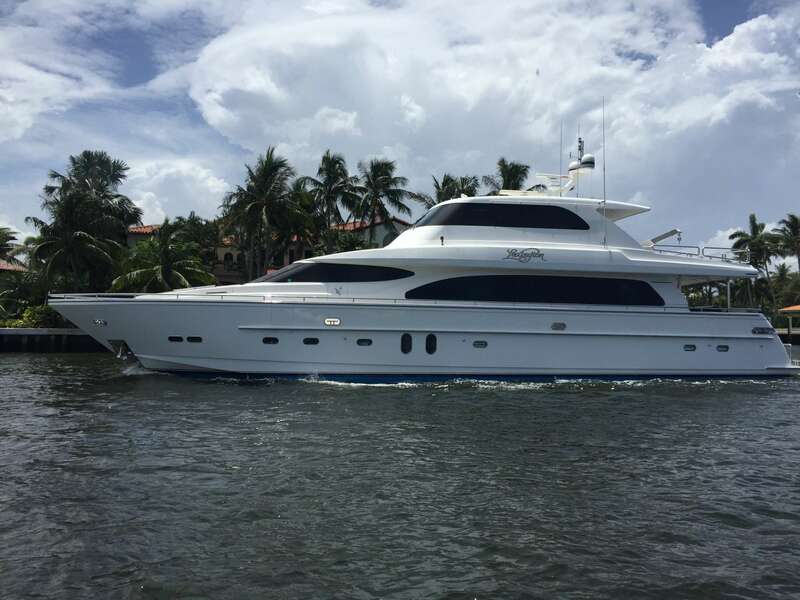 LEXINGTON (ex Helm’s Away) is a 25.91m (85') motor yacht built by the Taiwanese shipyard Horizon in 2007 and refitted in 2012. 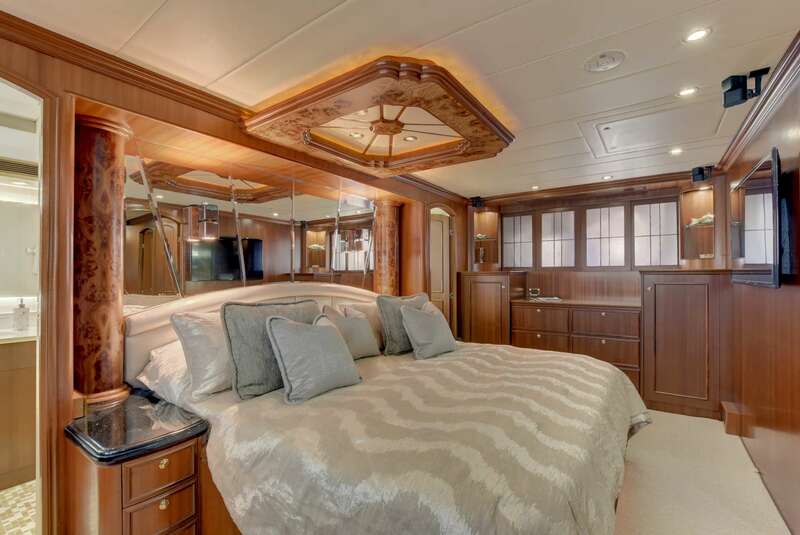 The yacht offers elegant interiors with accommodation for up to eight charter guests in four cabins, while her crew of three offers high-standard luxury service on board for an unforgettable and relaxing charter vacation. 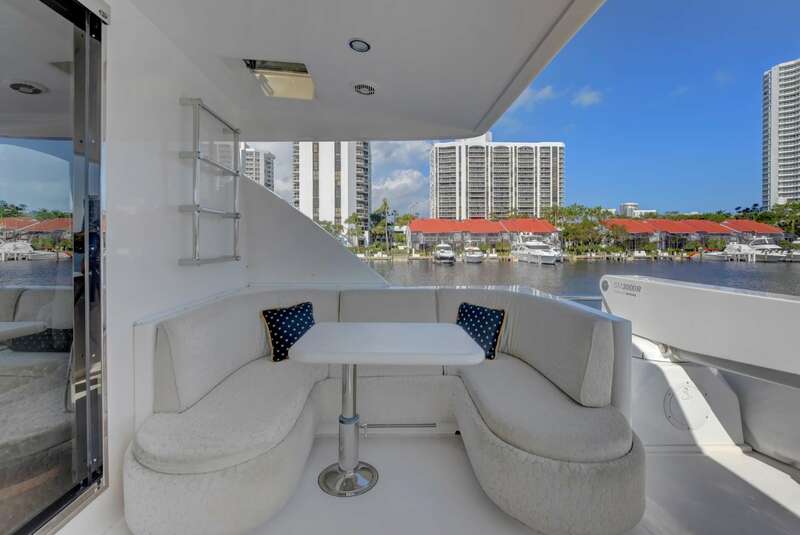 From the lower deck swim platform guests have access to the sheltered main deck aft, where a sofa and large alfresco dining table create an ideal setup for family meals and lounging in the fresh air. 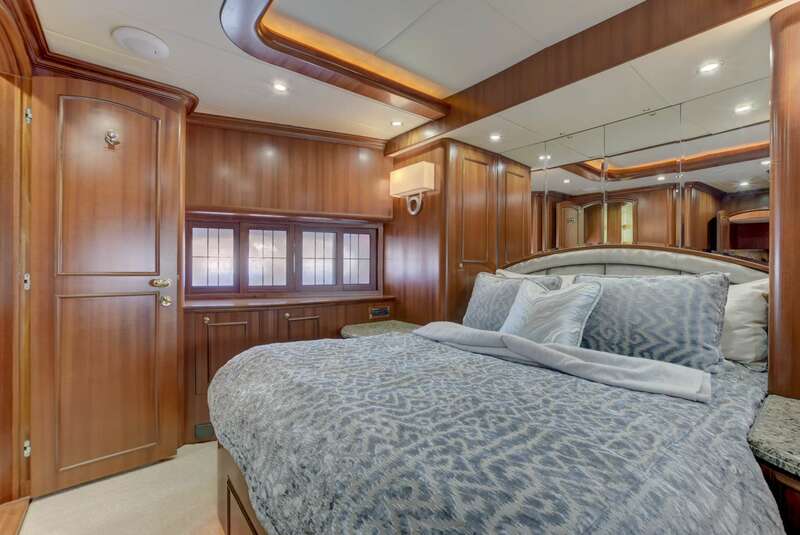 The foredeck offers a broad sunpad for all-day sunbathing with uninterrupted views of the surroundings. 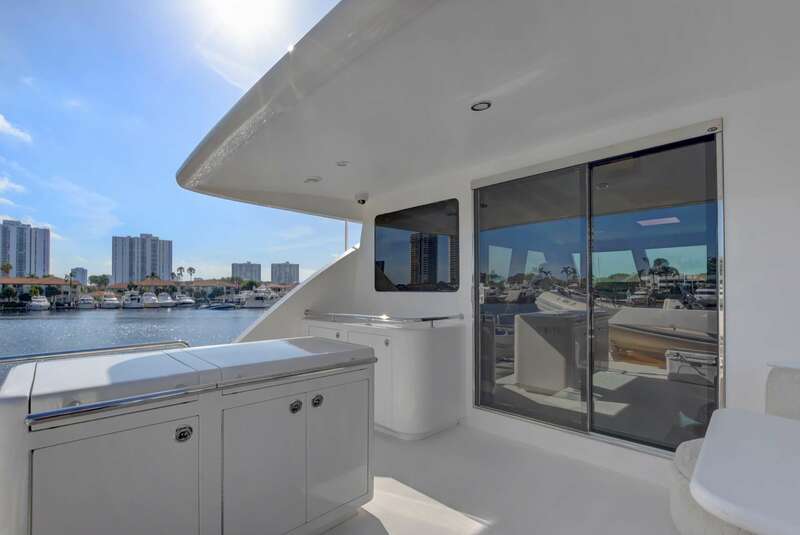 The flybridge aft is used for storing the tender, which is launched and retrieved with ease using the Davit crane. 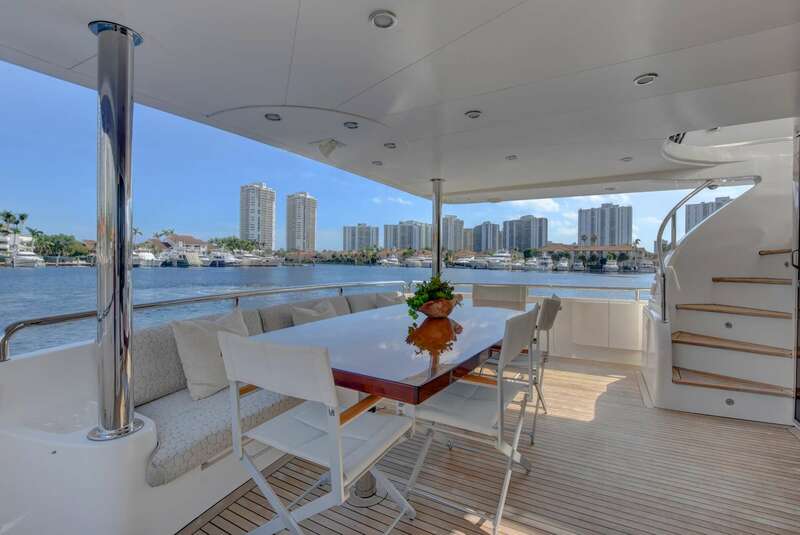 An alfresco dining area and lounge is placed to starboard of the staircase and the glass sliding doors to the skylounge can be pulled back for indoor/outdoor flow. 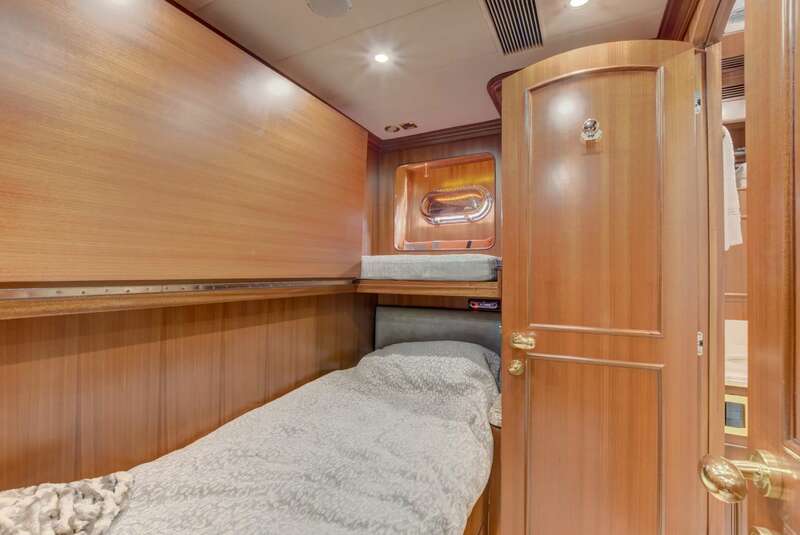 The lower deck hosts the guest accommodation forward of the engine room and the crew accommodation behind. 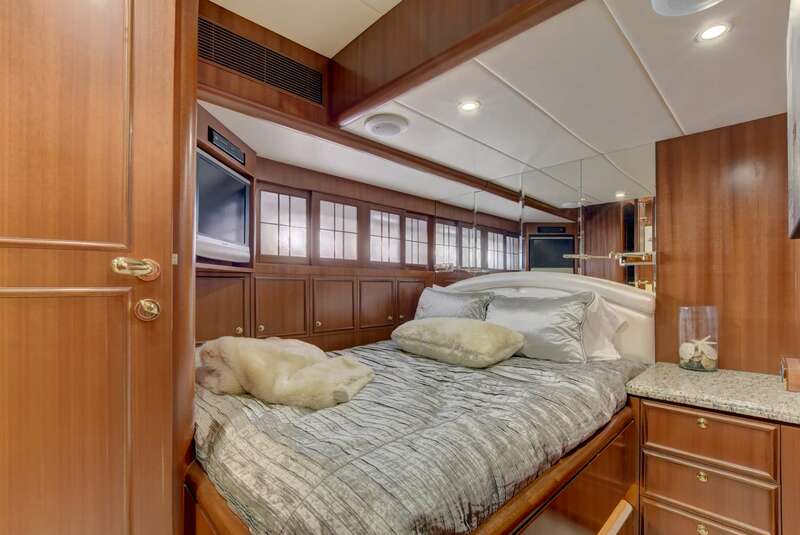 On the main deck, the forward section contains the galley and breakfast area consisting of a raised table surrounded by a U-shaped seat that enjoys plenty of sunlight through the forward window. 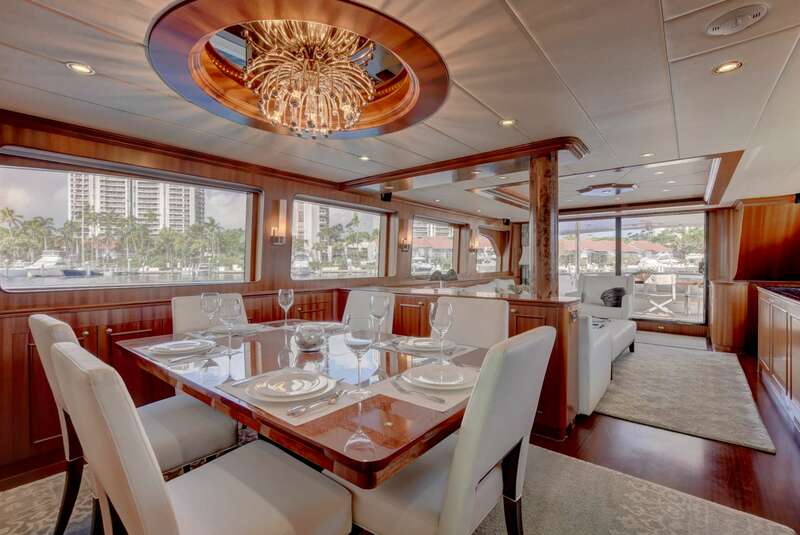 To the aft, the formal dining area seats up to six guests at a grand modern table within timeless surroundings. 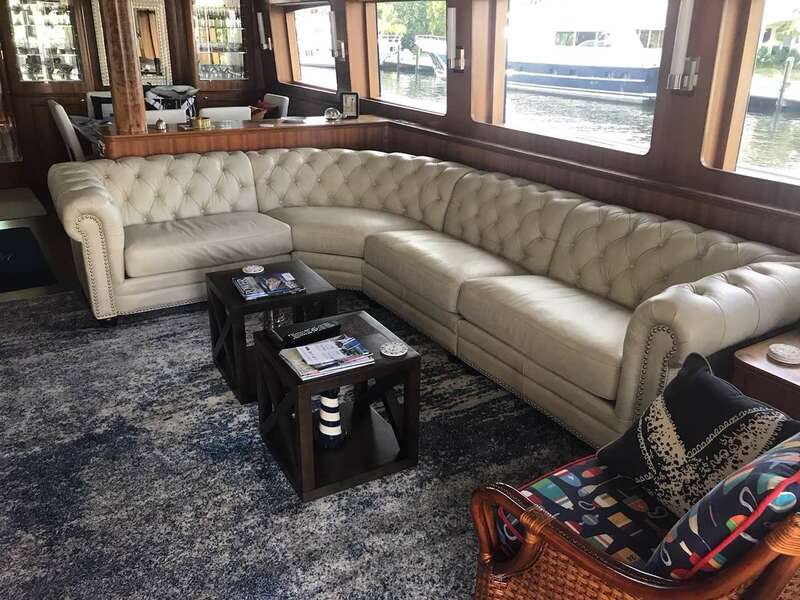 The aft lounge is separated from the dining area by a dividing wall, and here an L-shaped sofa curves along the starboard wall with the addition of an armchair, coffee table and table lamp for ambient socialising day or night. 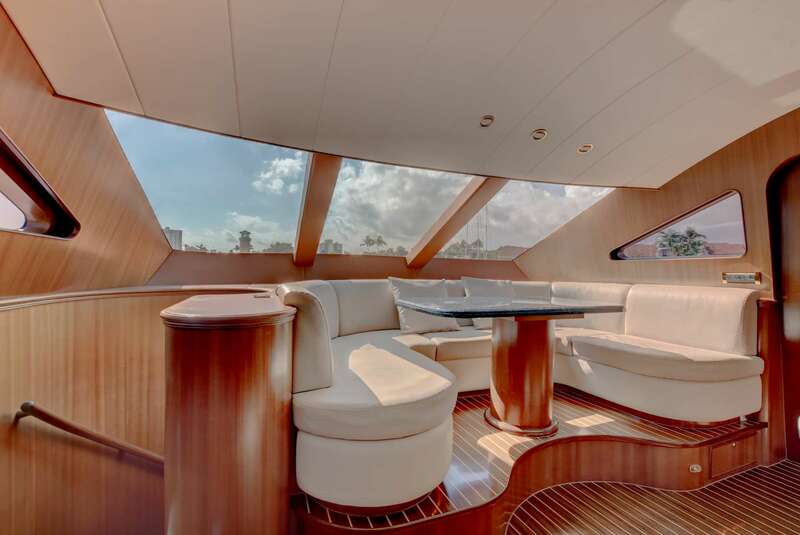 The upper deck places the helm station forward with the sky lounge behind. 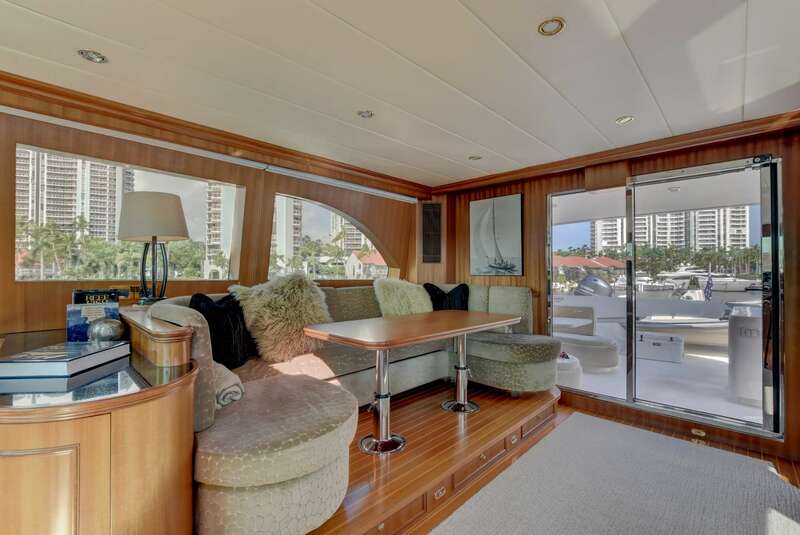 This cosy space is furnished with a C-shaped sofa to starboard along with a table that can be raised or lowered as desired, and glass sliding doors lead out onto the flybridge. Twin C32 Accretes Caterpillar engines allow for a top speed of 24 knots and a cruising speed of 11 knots with a range of 1,000 nautical miles. 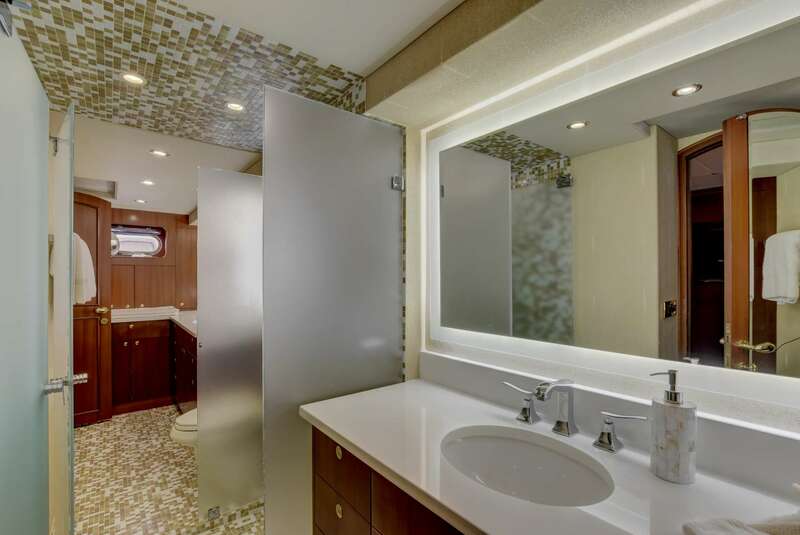 Eight charter guests will find four elegant and spacious cabins with ensuite bathroom facilities.